Are you searching for reliable MINI service in San Diego? Look no further than John’s Automotive Care. Our ASE-Certified or Master-Certified auto mechanics have many years of experience in maintaining these fun and sporty German vehicles. 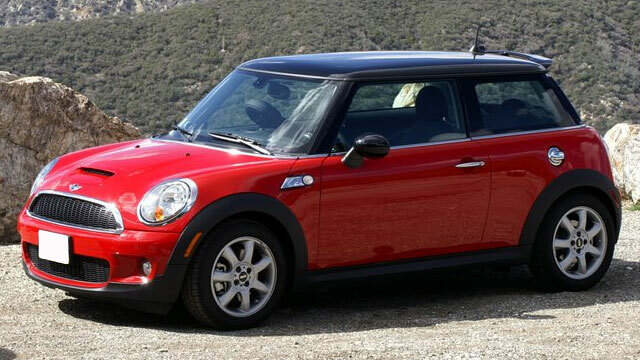 Our auto repair shop is chosen a time and again by MINI owners throughout San Diego. With John’s Automotive Care, MINI service will no longer be a hassle. We offer quick and accurate service, and while you wait, we offer several amenities in our waiting room. We have a “treasure chest” for your little ones, treats for your pups and chocolate for you. We also have free WiFi and overall, a cozy and comfortable atmosphere. If you can’t stay and wait, we offer a free, local shuttle throughout San Diego drivers, as well as rental cars offered at discounted rates. MINI owners, like you, know they can rely on receive stellar auto repair and customer service at John’s Automotive Care. Our highly-qualified and trained auto mechanics are leaders in the automotive industry. Our team consistently earns fantastic reviews and testimonials from satisfied clients and takes great pride that clients choose us as their leading auto repair service center. We hope that you choose us as your premier car repair service center, too. To schedule an appointment for your MINI auto repair service, call us at (619) 304-0815. Visit John’s Automotive Care at 6267 Riverdale Street, San Diego, CA 92120.